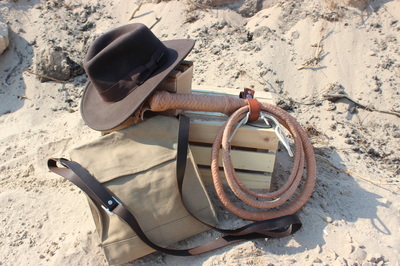 Features: This is a 2-belly, 12-plait kangaroo hide bullwhip modeled after the same one Dr. Jones uses in the hit film Indiana Jones: The Raiders of the Lost Ark and was made as a gift for my dad! 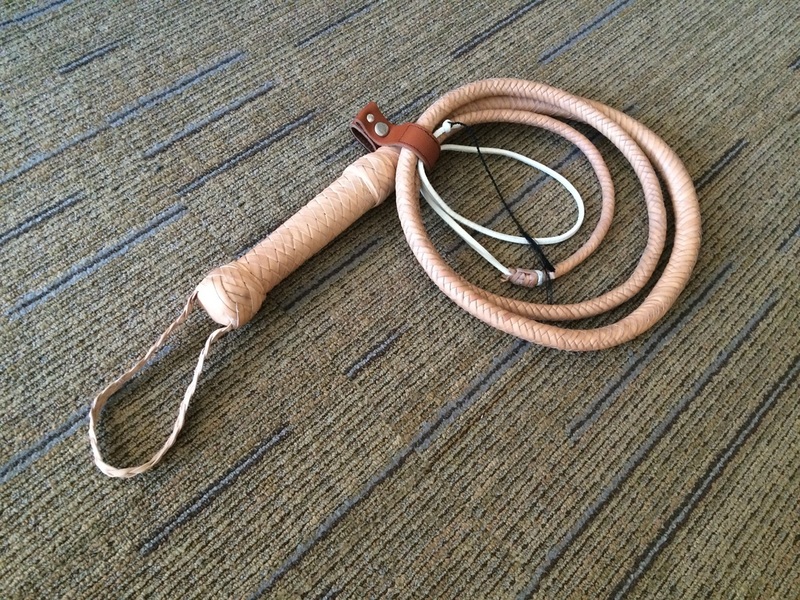 Fun Fact: This whip does, in fact, crack when used! For my whole life, my dad has always supported me in everything I do. He's helped me with countless school projects ranging from elaborate dioramas for which we made acrylic boxes for when I was in 3rd grade to large contraptions for science projects that I needed extra hands to put together. 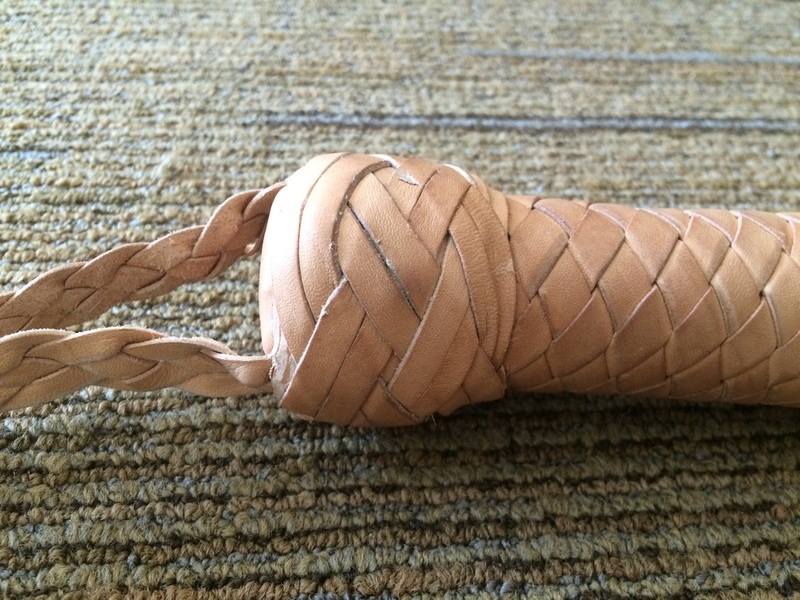 He's always been supportive of what I do, for he understands the desire to create as he is creative himself. 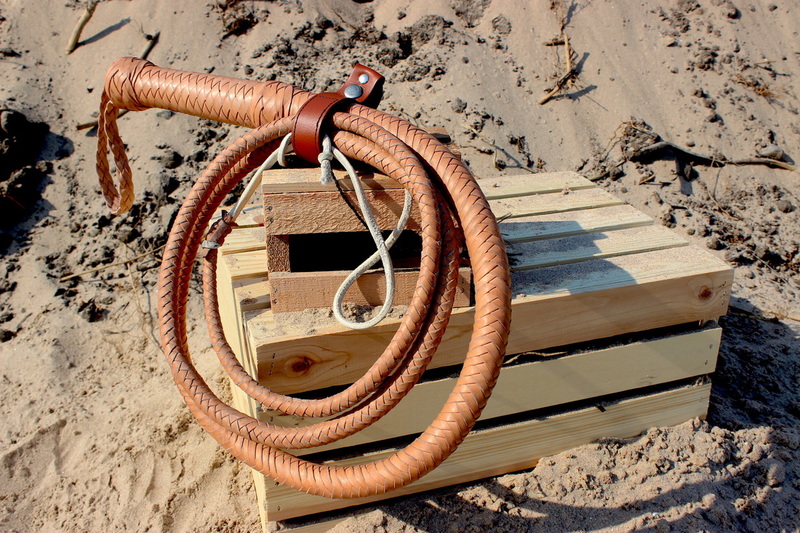 Seeing the pure joy and happiness that my dad felt when I gave him the whip as a gift really made this project unlike any other project I have created. To be able to give back to the one who has done so much for me has really not only been fun, but also an honor. 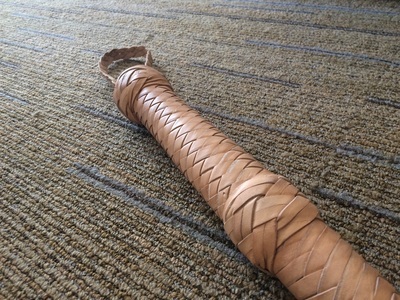 This whip is unique in that it uses over 100ft of real, authentic kangaroo leather lace hand cut from kangaroo hide in multiple braid sequences. Since it is made out of natural leather, the whip will turn from a natural tan to a very dark brown as time passes, creating a natural weathering effect! The braiding process itself took over 20 hours to complete, with the longest single-sitting braid taking 12 hours to learn and execute. 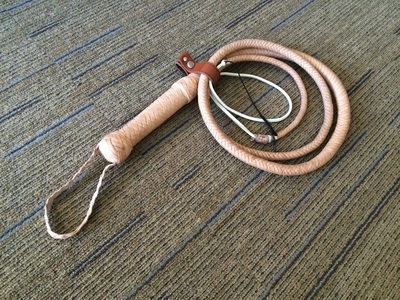 This whip was created to be 8ft long for multiple reasons. 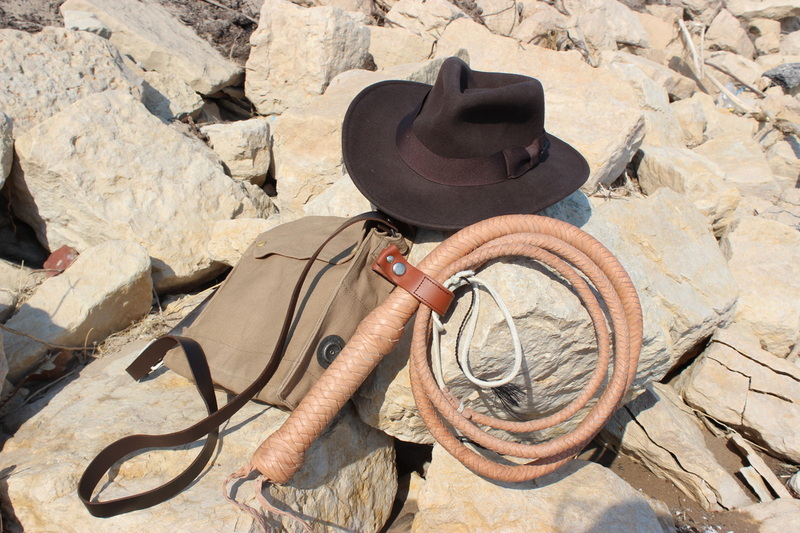 During the Indiana Jones films, Indiana Jones carries multiple whips throughout each movie, varying from 6-12ft long. 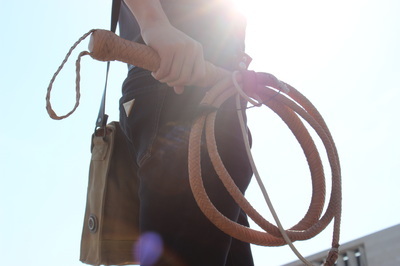 An 8ft whip strikes a good balance between control and power, while also falling into the average length of bullwhips in use today. A full write up on this prop's build process can be found in the Indiana Jones Bullwhip Build Log. Outdoor photos of the whip were taken by Steffanee Wang, writer for STITCH magazine at Northwestern University. 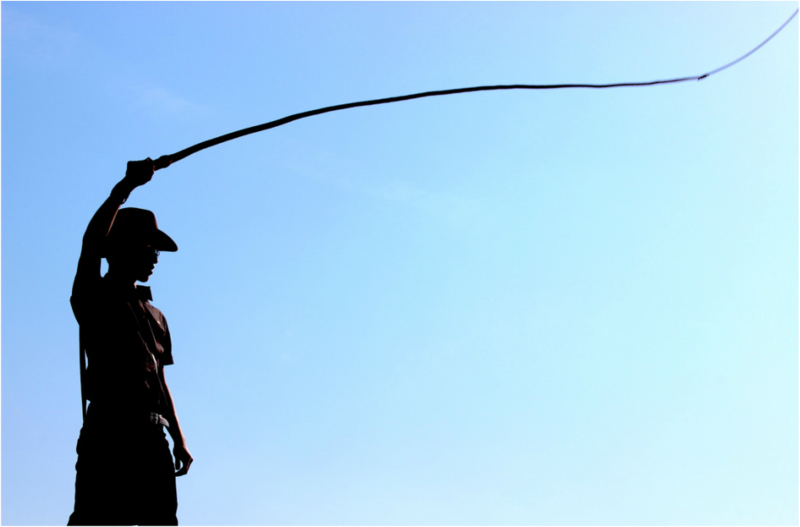 A big thanks to her for the photos!